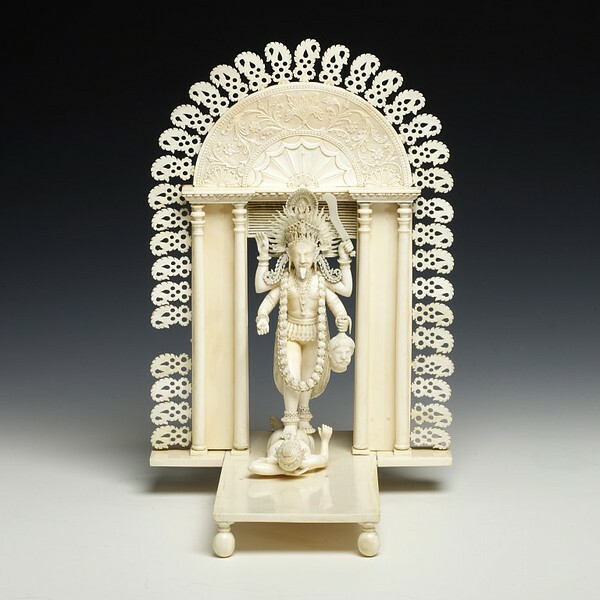 Finely carved ivory image of the goddess Kali trampling on the prostrate body of Shiva. In this fearsome form, she is shown with her tongue projecting, brandishing weapons in two of her four arms, and holding a human head. She is also wearing a necklace of human skulls. The image is placed within a neo-classical door-way with pillars and a fanlight with floral designs, and mounted on a rectangular ivory base.